Windfarm bosses have insisted that a multi-millin pound windfarm off the coast of Caithness will be a boon in terms of jobs and money. They have failed, however, to convince a local economist who instantly accused them of exaggerating their claims. Scottish Southern Energy (SSE) and its partners insist the “social return” from the 84-turbine Beatrice project will mean significant job creation and a substantial injection of hard cash for local projects. It promises £34million in community benefit over the 25-year lifespan of the project, of which £4million is earmarked for Highland and £2million for Moray over five years. Additionally, it says, the impact of the overall £2.6billion of investment should add £1.13billion to the UK economy and £530million for Scotland durihng the construction phase. But Inverness-based economist Tony Mackay disputed the figures. “SSE’s estimates seem unbelievably high – particularly the number of jobs. The local economic impact will be disappointingly small,” he said. Beatrice promises to generate enough energy to power up to 450,000 homes. 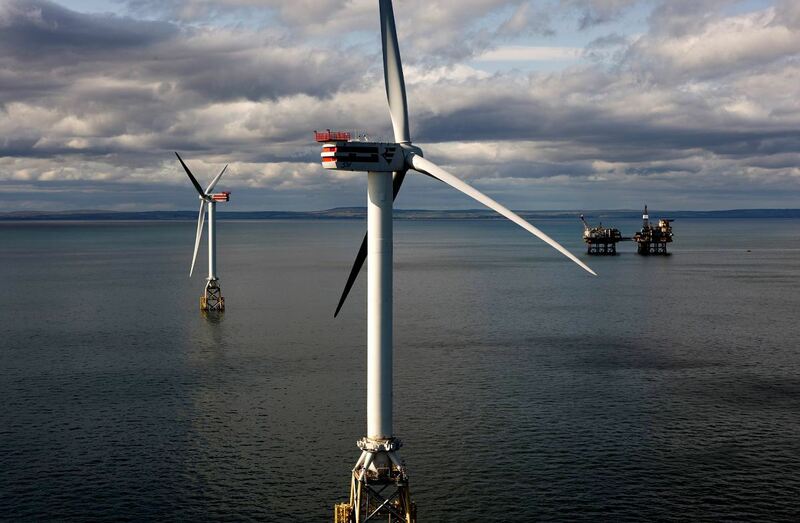 The turbines will be eight miles off the Caithness coast. The target date for completion is 2019.